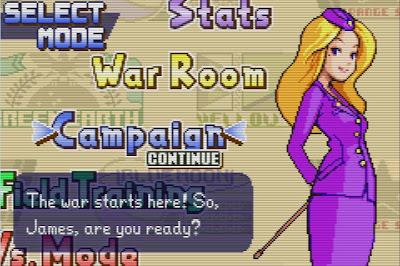 Is it possible to add scanlines to the display using PCSX2? Is this a graphics plugin issue? Yes, it possible to emulate scanlines. ZeroGS and ZZogl use such trick to made a proper deinterlacing. But what do you want to obtain? (07-09-2009, 10:18 AM)Zeydlitz Wrote: Yes, it possible to emulate scanlines. ZeroGS and ZZogl use such trick to made a proper deinterlacing. But what do you want to obtain? I think he's looking for some kind of "scanlines filter," as found in ZSNES or Winkawaks for instance. There are a lot of other filters to make the image look less blocky, but I prefer scanlines as I don't like the "fuzzyness" of other filters. Do it yourself, it is not to heavy. I could point a function, that you need to hack in ZeroGS and ZZogl. You need to wrote a new deinterlacing filter for this. @zero29: Maybe I have just become accustomed to it. The texture filtering method which GSdx and ZeroGS use (bilinear?) leaves pixel art looking fuzzy, but completely unfiltered tends to look too blocky. @Zeydlitz: Could you please point me to the function? I really appreciate the help. Look in RenderCRTC, you should look at comment "pass if odd", "pass if even". Right now odd/even frames have different scanlines (so after drawing 2 frames all screen is drawn), so if you made a fixed oddity you'v got empty lines. Better change ZZogl, in ZeroGS you also should fix shader file. p.S. If you game is not deinterlaced, you should also remove upper if, to made deinterlacing worked everytime.